A campus visit provides an excellent opportunity for you to experience the quality education and community life that WSC has to offer. 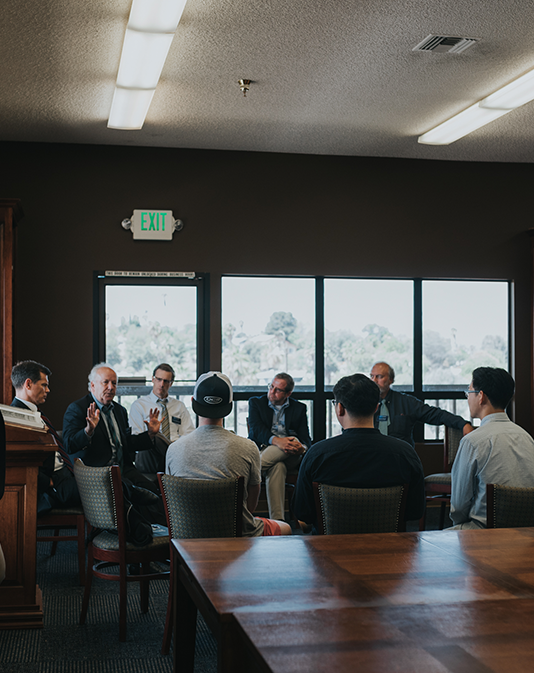 You have two great ways to visit: WSC offers three Seminary for a Day events each year and hosts personal visits throughout the academic year. We know that a campus visit with face-to-face interaction is invaluable to making a decision about seminary. We also know that travel isn’t cheap. Therefore WSC offers travel grants which provide up to $300 in financial assistance to serious prospective students who wish to experience WSC in person through a personal visit or a Seminary for a Day event. To participate, you need to schedule a campus visit and submit receipts for your travel expenses to the Office of Admissions during or shortly after your visit. We will reimburse you for up to $300 of your travel costs. Eligible expenses include: airfare, car rental and fuel, or mileage if personal vehicle is used, and lodging. Approval of the travel reimbursements is at the discretion of the Office of Admissions. Seminary for a Day is a campus wide event that is all about prospective students. The day starts with breakfast and coffee, and then you’ll take a tour of campus and hear about the history and mission of WSC. You’ll attend Morning Devotions, which is our chapel program. You’ll sit on two classes to really get a feel for what the education is like here. You’ll attend a faculty panel, where several faculty members will answer your questions about WSC. You’ll also attend a panel of enrollment staff, who will answer logistical questions about applying, financial aid, housing, and more. Enrollment staff are also available all day to answer personal questions. You’ll eat lunch with the whole campus, which is a great time to chat with faculty and current students. By the end of the day, you’ll have a good sense of what this seminary is about and whether it’s a good fit for you. Personal visits are more, well, personal. 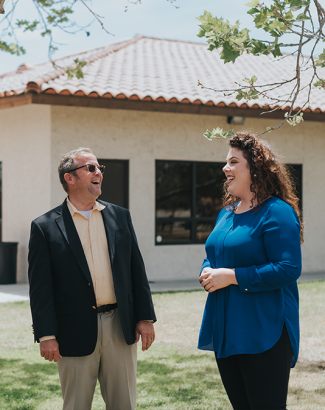 If you visit during the school year, you’ll take a tour of the campus, and then you’ll meet one-on-one with an admissions representative who will answer all your personal logistical questions. You’ll sit in on two or three classes, which we will try and match to your academic interests. You’ll attend Morning Devotions if you’re visiting on a Tuesday or Thursday. You’ll also get to go out to lunch with a faculty member or current student. This is a great chance to ask your burning theological questions and experience the personal care of our community first hand. Personal visits may be scheduled on most days, but we recommend that you come Tuesday through Friday during the academic year (Sept-May). During the summer and on breaks there are no classes, but y0u’ll still be able to take a tour, meet with a representative of the admissions office, and go out to lunch. who are unified in their understanding of the Bible.